I miss Dally everyday, she was such a wonderful girl. with her and I really liked them. Marti was very helpful and answered all of my questions and agreed to sell me a dog. In August of 1999, Marti contacted me that she had a litter. 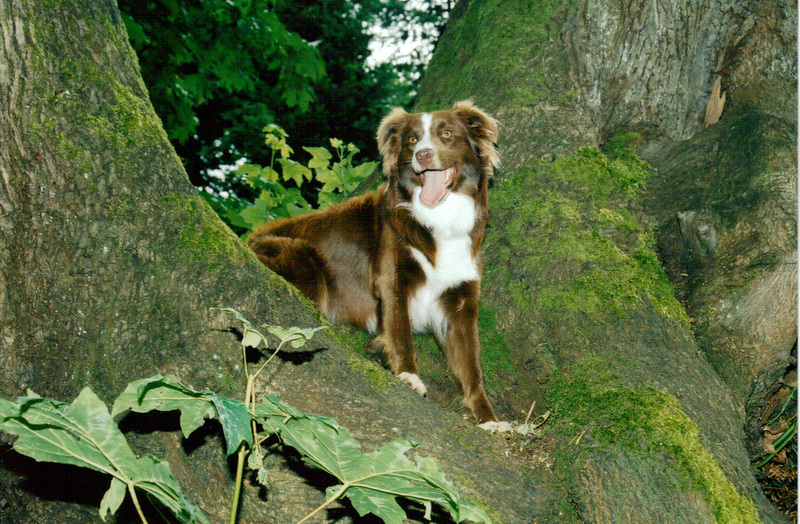 I had just lost my old Aussie, so the timing was perfect. I ended up with the most awesome red Aussie and a lot of really wonderful new friends. 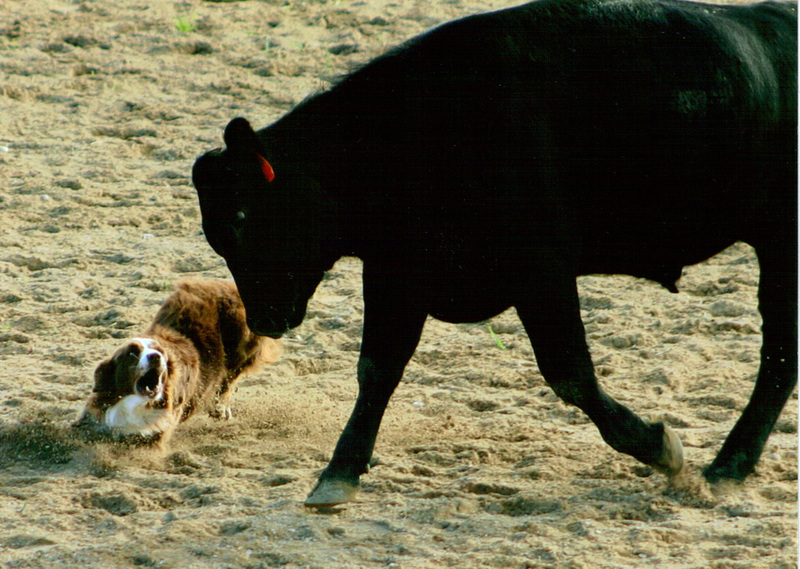 I was not going to use this dog for anything more than running a few roping steers, or so I thought! I ended up working her on sheep, it was all so fun and I was hooked! Our first trial was at the 2001 ASCA Nationals. We had never even been around a course, yet we ended up 5th place in the Nationals trial on sheep. I didn't know how to train a dog for trial work, but Marti helped me every chance that she got. Dally is a fun dog to work and she has covered many of my mistakes! She does not like to lose her sheep and is really good at covering fast sheep. Dally has a nice low heel on cattle and will go to the head. This girl really likes to work! At home, I use Dally to gather the sheep when they are grazing or when they wander too close to the road. She has a really sweet temperament and is always happy to hang out. Kissman who also was the 1st judge we ever trialed under and got her first score in started sheep. She also got her 1st advanced cattle leg at the Cowboy Classic. complete her WTCH. Not only did she get the qualifying score, but she was HIT cattle for that trial. That felt so good and WOW we did it! I hope to WTCH her daughters a little faster but have no regrets the about the road Dally and I have been on. and she is more than ready to get her TDX. I have two of Dally's daughters, Bit and Rein, they are really cool and fun to work.